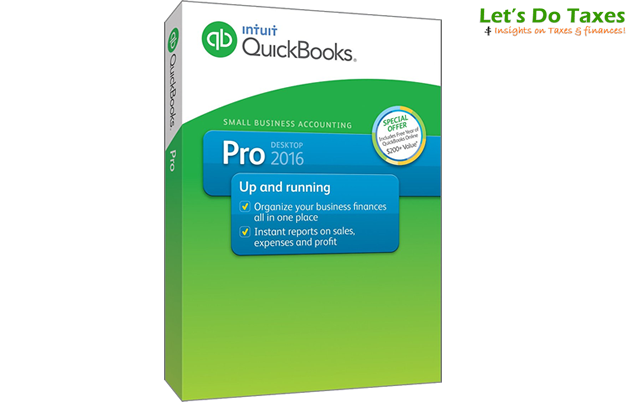 Get $80 OFF Save $80.00 instantly on the new QuickBooks Pro 2016! If you’re looking to upgrade to the new 2016 release of QuickBooks Pro then hurry because you have up until the end of the month to save $80.00 instantly at Intuit.com with our exclusive instant coupon. But wait! You can also upgrade to Premier 2016 with this same coupon link also helps to save even more ($120.00 off the retail price). Offer expires at the end of the month. Up to $180 OFF Get up to $180 off QuickBooks Pro 2016 at Amazon. Amazon has all the 2016 versions of QuickBooks is stock and on sale. Not only does Amazon have some of the best deals on QuickBooks software with select versions now on sale for up to 37% off (around $180.00 off), but you can save on shipping and the wait by selecting the digital downloadable version at checkout vs. the boxed option. Both are functionally exactly the same, except that the digital version is available for instant download as soon as you complete the order. Sale prices can vary and are limited to the quantity available in stock. If you haven’t used QuickBooks before or are looking to switch for Peachtree or other account program, then you have the option to try out any of the online version of QuickBooks for free for up to a 30-day period. Although the features are not exactly the same as those found the traditional boxed version of QuickBooks Pro 2016, they are pretty similar. Just be sure to cancel before the trial period is complete o avoid any unwanted month subscription charges. If you end up purchasing the boxed version and you don’t like it for any reason, keep in mind that you have 45 days to request for a refund with no questions asked. There is a lot to worry when starting new business that is why detailed tracking of all that is happening is so crucial. QuickBooks Pro is the first go-to option for business owners who want to create professional quotes and invoices, pay bills, run reports based on different company activities, properly record all transactions, and much more. As an owner, you can have up to three users accessing and modifying company data at the same time. This comes handy when one person processes orders, another pays bills and receives payments, and someone else handles customers or vendors issues. Invoices and estimates can be emailed directly from QuickBooks that is synchronized with MS Outlook and Outlook Express. QuickBooks also lets you process credit card payments, handle payroll (direct deposit available and access to the latest tax schedules), and access to vendor and customer information. Calendar view – pick a month and type of transactions you want to see and QuickBooks will display them for a quick visual of what’s coming up. Document center allows for better digital organization of documents – behind every invoice there can be receipts, quotes, packing lists or any other files that are worthwhile attaching. Lead center helps to organize information gathered during customer visits and trade shows; in one area enter all the necessary information from “To Do” to “Notes” and if the lead becomes a customer, one click makes the conversion. Some of your employees might work the same hours and the new feature streamlines the process of timesheet reporting for payroll purposes. Additional features that power QuickBooks Pro 2016 includes the ability to organize all you finances, customers, vendors, and employees in one place. They are displayed in a flow chart fashion for better understanding how transactions affect one another. Easily access vendor and customer information, track sales, analyze payables and receivables, and even access the software remotely (for a fee) if your type of work requires traveling.